A beautiful Cuckoo Maran from France. 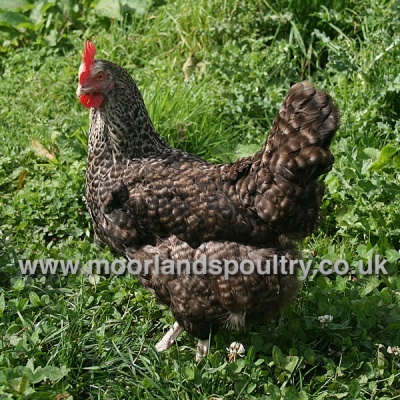 She is a cross between with a maran and a barred Plymouth Rock, and lays approximately 240 dark brown eggs per year. A lovely placid bird with striking markings.